The City of College Park Fire Department provides its inhabitants and visitors with comprehensive fire suppression, fire prevention, rescue and emergency medical services from first class highly trained professional emergency responders rendering the highest degree of patient care while providing the maximum level of safeguards for the city. College Park Fire Department utilizes two engine companies, one squad company, one ladder company and two advanced life support rescue units. College Park Fire Department responds out of two stations strategically located in the community. For more information about the College Park Fire Department please contact us at (404) 766-8248. 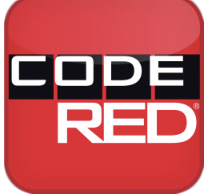 SIGN UP for CodeRED Today! Just CLICK on the CodeRED banner you will be routed to a secure site to enter your information. Don't have computer access? Don't worry just call 404-305-2099 and leave your information and we can sign you up for this very important service. Please when calling make sure to leave your name (first and last); complete address; email address; primary and alternate phone numbers (indicating if landline or cell number). SIGN UP TODAY!!! Click Here.